With a culture inspired by innovation for centuries, Czech beer has mostly been hidden from the western world. Until Now! 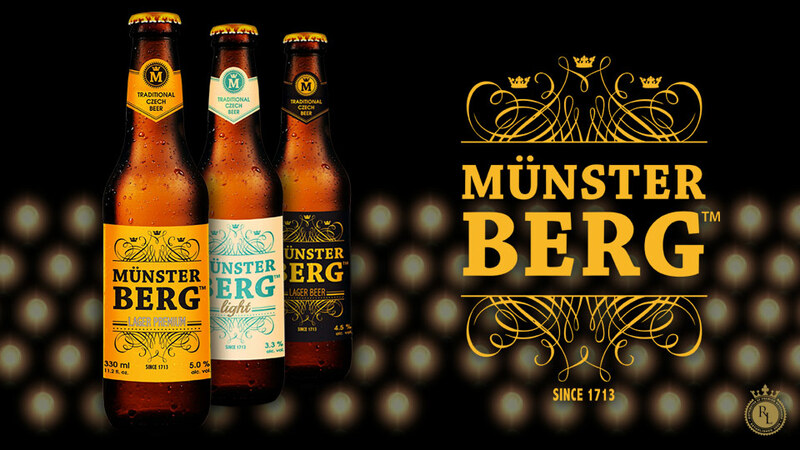 We bring you Munsterberg Lager Beer. 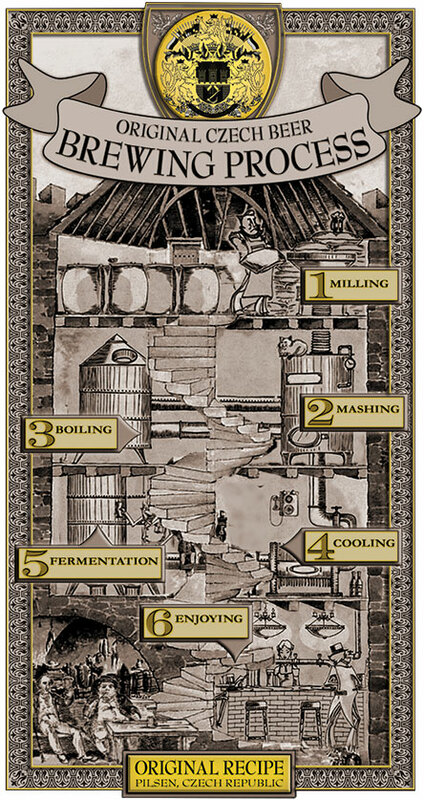 Our beer is crafted using only the finest ingredients and brewed with a traditional 18th century process from start to finish. Rich dense foam combined with deep yet gentle color, our premium Czech lager will take you to a place where time stands still. 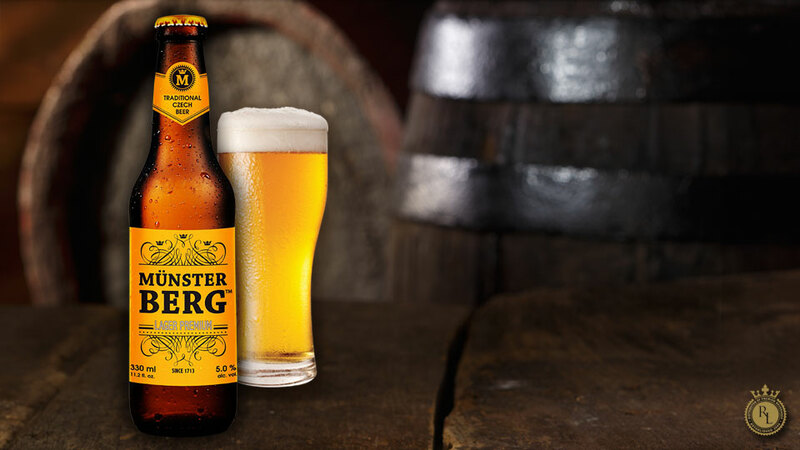 Munsterberg Lager Beer is the heart and character of its birthplace. The Pilsen region of the Czech Republic was first granted the right to brew beer in the 13th Century. 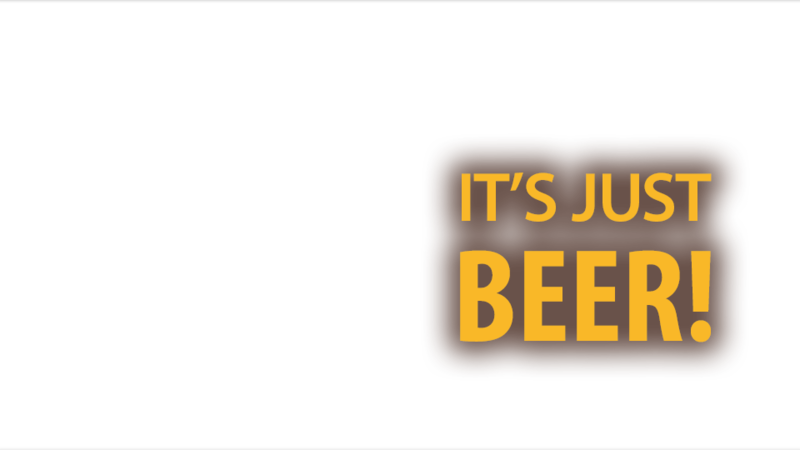 Hundreds of years of experience, innovation and a deep love for brewing and premium local ingredients have come together to produce many of the worlds best beers. A classic Czech lager with full flavor, medium bitterness and medium CO2 saturation. We start at the source with premium water. The beer is exclusively brewed by traditional procedures with a long maturation period using original ingredients – Pilsen malt and premium Bavarian hops. By adhering strictly to traditional Czech brewing procedures and Czech beer laws our lager satisfies the most selective of beer lovers. We never use any ingredient supplements or add water leaving only a full flavored Czech lager beer. The beer is exclusively brewed by traditional procedures with a long maturation period using original ingredients – Pilsen malt and premium Bavarian hops. We never use any ingredient supplements or add water leaving only a full flavored Czech lager beer. Traditional Pale Pilsner beer that is characterized by its delicate taste, pleasant bitterness, fine hop aroma, rich foam and golden color. It will will reward you with a robust taste that takes nothing away from its drinkability. Primary fermentation at 11.2° for 6 days with secondary maturation for 30 days. Alcohol content 4.5% ABV. Starts off with a medium to large head that releases its fine hop aroma as soon as the glass is tilted. This contributes to the drinkability as the pleasant bitterness finishes smooth. 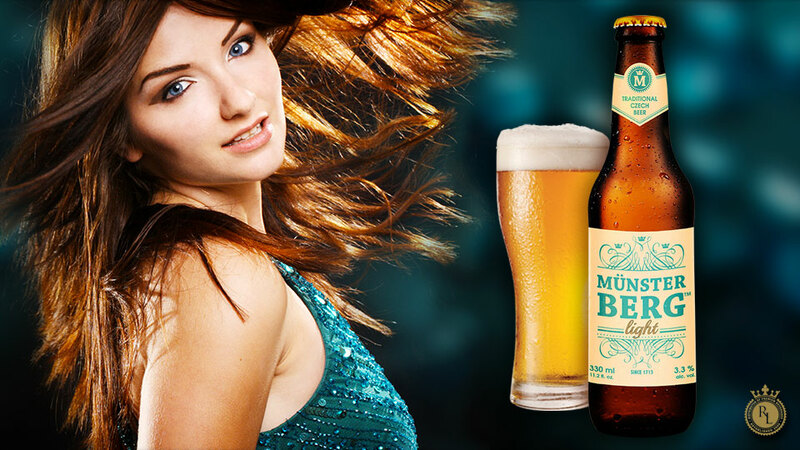 Full flavor "lager" beer with a pleasant, balanced taste and a mild malty and medium hop aroma. Our Premium Czech lager leaves you with a hint of fine to medium strong bitterness in the end. This is a beer lovers beer. Primary fermentation at 12.4° for 7 days with secondary maturation for 40 days. Alcohol content 5.0% ABV. Beginning with a large thick head that holds its medium hop aroma until just before consumption. Then a burst of aroma as the fine to medium bitterness satisfies the pallate. Finishing with a taste that beckons for another sip. Recognized for its drinkability, our Light Pilsner beer has a delicate taste, pleasant bitterness, medium foam and light golden color. Refreshingly Czech day or night. Primary fermentation at 8.0° for 4 days with secondary maturation for 20 days. Alcohol content 3.3% ABV. Starts off with a medium head that releases its delicate hop aroma as soon as the glass is tilted. This entrance contributes to the drinkability as the pleasant bitterness finishes smooth. Regner Legacy is proud to import three brands of beer that are based on a traditional brewing philosophy of premium lager beer. 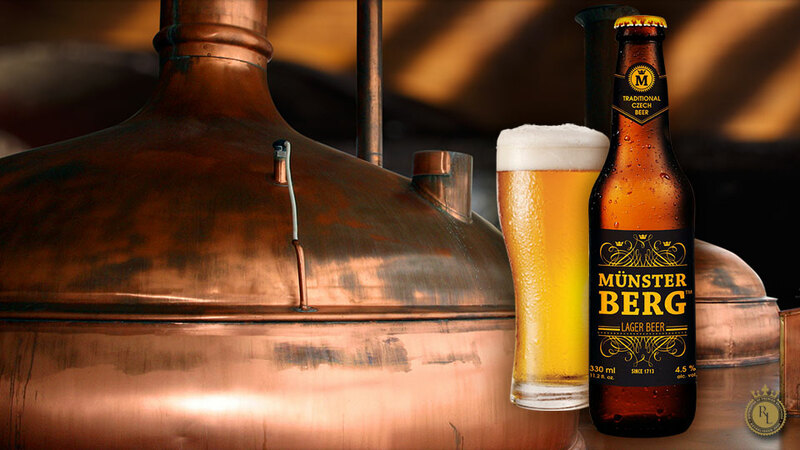 The brewery is located in the Czech Republic, the home of the oldest and finest beer producing country. Pragobeer, Munsterberg and Nahar are the newest additions to the world renowned Czech beers, with a touch of tradition that takes you back to the original richness taste. © 2014 Regner Legacy, LLC. All Rights Reserved.